Get to know the staff at The Eye Clinic of Great Falls. A Great Falls native, Judy began her optical career in 1984. Prior to joining the Eye Clinic she was in the classroom teaching science. 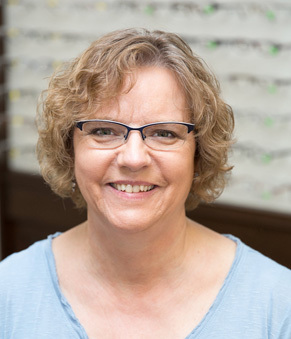 Judy has worked all aspects of the office from scheduling, billing and insurance, and as an optician. She found her niche in the eye care business and has loved her years at the Clinic and the patient interaction. She is a Certified Optician and is currently the office manager for the Clinic. Judy is passionate about eye wear. A glasses junkie, she is known for her multiple pairs of eye wear. 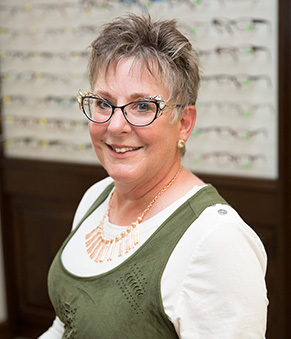 Judy’s philosophy on eye wear is that frames should flatter the face, reflect your personality, and provide the best vision with your prescription. Judy feels that anyone who wears glasses should have more than one pair because glasses are like shoes: one pair isn’t enough! Judy is always available to help you find just the right pair of glasses that fit your budget. Kerrie came to Great Falls in 1977 from southeast Montana. She met her husband Jerry in Great Falls and raised two children. After working for more than 20 years in the grocery business and putting her children through college, she decided it was time for a new challenge. Kerrie began at the Eye Clinic of Great Falls in 2007. In 2008, she became a Certified Professional Coder, thus fulfilling her role as our billing manager. Kerrie is always happy to help you with your insurance, billing, and account questions. Engra joined the Eye Clinic of Great Falls in May of 2009. Engra was our Product Manager, and has trained to be the Billing Assistant at The Eye Clinic. She has previously lived in Anchorage, AK; Sandy, UT; and Idaho Falls, ID. Engra enjoys traveling and her favorite vacation was to Australia to snorkel in Cairns and to visit Sydney and Melbourne. Engra’s hobbies include playing the violin, singing, volleyball, swimming, biking, cross-stitching, collecting dice, and she has also collected over 200 key chains from all over the world. 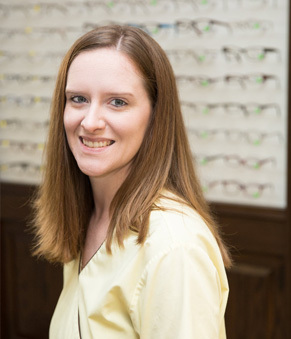 She enjoys working with the doctors and staff to assist patients in their eye care needs. Bob is our head Optician. He brings in the newest and best in frame lines. He enjoys helping people find the perfect frame for both their style and budget. He is certified by the American Board of Opticianry and has held this distinction for over 16 years. He is a Green Bay Packers fan. He collects coins and is an avid outdoors man. 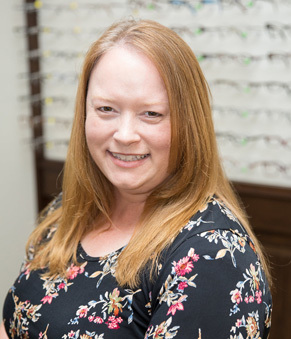 Jen has been in the optical business since 1996 and has been our lab technician since 2008. In 1998, she became a Certified Optician by the Ohio Optical Dispensers Board. In 2008, Jen and her family moved to Montana to be closer to her family. A mother of four, Jen enjoys spending time with her friends and family outdoors. 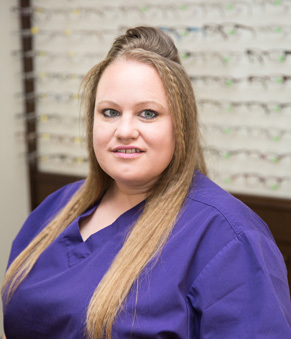 Born and raised in Great Falls, Kayla joined the Eye Clinic in 2010. In 2012 Kayla completed her Paraoptometric certification. She enjoys spending time with her family and friends at their Seeley Lake cabin. She loves being a mom to her adorable son, Cole. Barb was born and raised in Utah. She is the oldest of three siblings. While living in Utah she and her family enjoyed camping and visiting the many national parks in the area, including Zion and Bryce Canyon. Barb moved to Montana in 2016 and started working at The Eye Clinic of Great Falls in October of 2016 as our Product Manager. She is new to the optical field and is enjoying her new career. Her hobbies include crocheting, reading, and cooking. She is looking forward to exploring Montana, especially Great Falls, with her family and 13 year old son, Kenny. Karen was born in Great Falls and raised in Fort Benton. She lived in Gillette, WY working in a coal mine for 30 years before returning to her home of Fort Benton. Karen joined our Benton Eye Clinic team in 2012. She enjoys helping our patients and working with the doctors and staff. She has two children and three grandchildren that she loves to be around whenever she can. Her favorite hobby is quilting and is very active in quilting guilds in Montana and Wyoming.